So simple, and so obvious, yet somehow many of us hesitate to pare things down to basic elements and quietly allow the flavors to merge. Summer is a time for outdoor entertaining at Casa Levitt and I am always searching for salads with a different twist that will complement our pizza (more about that in a later post). Of course, there are an endless variety of greens and vegetables available in northern California to star in that role, but there is something about the crunch of farm fresh thinly sliced celery combined with deep green parsley leaves, adorned with the most wonderful pecorino romana (thank you Katie Parla) and ultimately drizzled with a fruity olive oil and a dash of fresh lemon juice. 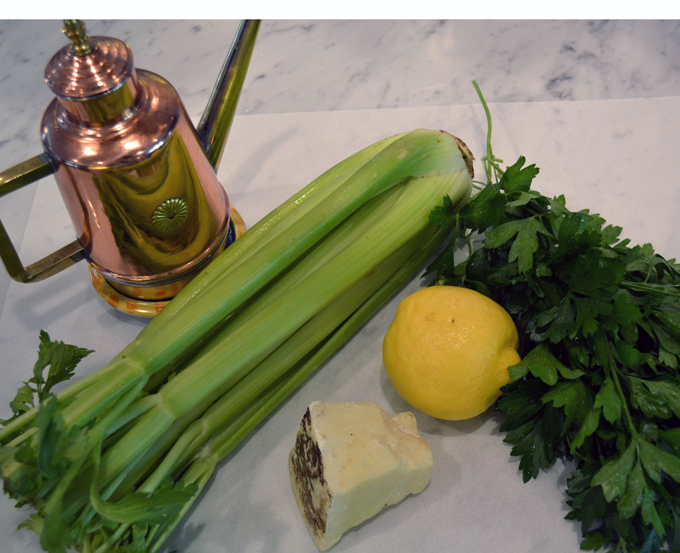 I’ll let you decide…..
Keeping the stalks and their leaves whole, carefully wash & dry the celery as to be sure that any particles of soil have been removed. Trim the very base and top portions and discard. Using a sharp knife or mandoline slicer, thinly slice the stalks with leaves, not to exceed ⅛" pieces and place in a salad bowl. 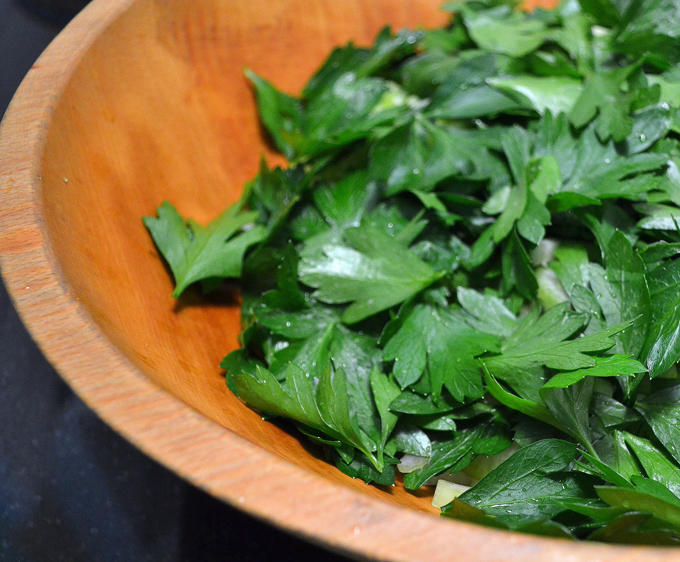 Add the prepared parsley leaves to the bowl. 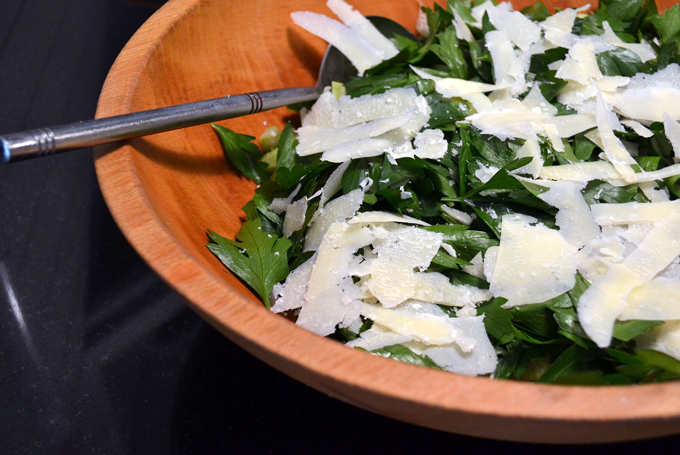 Using a vegetable peeler, shave the pecorino over the bowl, covering the parsley. Drizzle the extra virgin olive oil onto the salad, sprinkle with the desired sea salt and pepper. 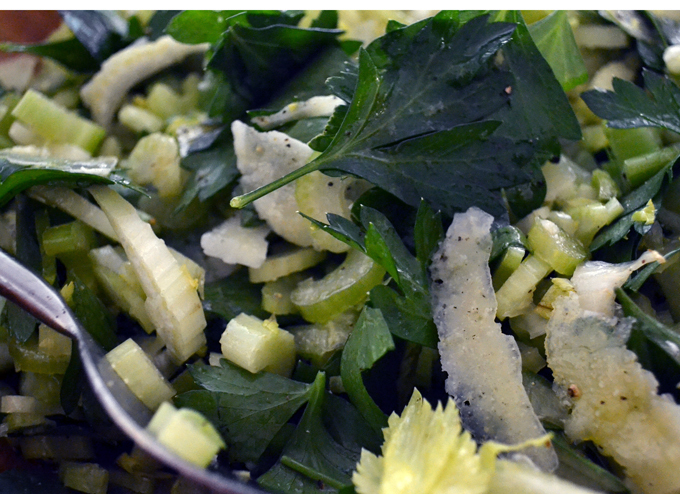 Add the lemon juice, beginning with 2 tablespoons, gently toss the salad, taste and add more lemon juice if desired.